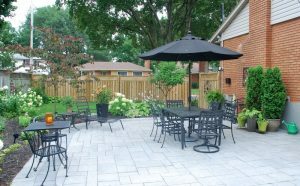 Patios are often the focal point of your landscape design. 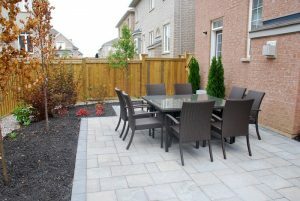 An interlock or natural stone (flag stone) installation creates a space where your family & friends can cook, relax and entertain. 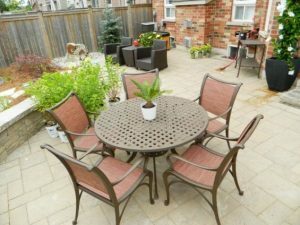 earthworks landscaping will help you create the perfect back yard design for your home with endless choices of interlocking stone pavers, natural stone or manufactured natural stone. We’ll help you select the size and shape that works for your home and your life. 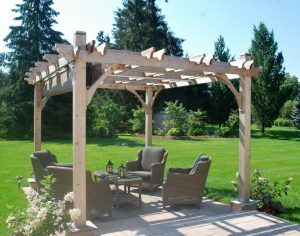 Add a covered pergola & gardens or choose from a variety of water features and landscape lighting to complete the outdoor experience. Give your family a place they will never want to leave.